Magnolia bark has been used in Chinese medicine for more than 2,000 years. This herb is aromatic, pungent, warming and stimulating and can help strengthen your stomach and digestive system, according to Herbalist. Magnolia bark may have antiseptic, antifungal, antibacterial, anti-inflammatory and antispasmodic properties and may be used to treat various inflammatory conditions, colds and flu. Magnolia bark may also cause some undesirable side effects. Consult with your health care provider or certified herbalist prior to using magnolia bark extract. According to E Natural Health Center, magnolia bark can help remove dampness from your body, relieve asthma and improve your digestion. Herbalists commonly prescribe magnolia bark for abdominal pain and distention, constipation, coughing and shortness of breath. Magnolia bark may also help relieve chest tightness and phlegm congestion that is associated with asthma. Herb Wisdom states that this herb can also help improve menstrual cramps, gas, nausea and indigestion. Two chemicals found in magnolia bark are honokiol and magnolol, which both have strong antioxidant activity. According to Herbal Wisdom, these two substances may help reduce stress and balance your cortisol levels. Therefore, magnolia may also help combat the effects of excessive stress. Magnolia bark contains a substance called tubocurarine, which is an alkaloid that is commonly used as a muscle relaxant. The tubocurarine and related substances in magnolia bark may cause respiratory paralysis. It is also toxic to small children and infants, even in small doses. Notify your health care provider if you experience any difficulty breathing while taking magnolia bark. Keep magnolia bark extract out of reach of children. According to Herb Wisdom, excessive use of magnolia bark may cause vertigo, a sensation of spinning. Subjective vertigo is the sensation that you are spinning in the room and objective vertigo is the sensation that the room is spinning around you. Notify your health care provider or certified herbalist if you experience vertigo while taking magnolia bark extract. 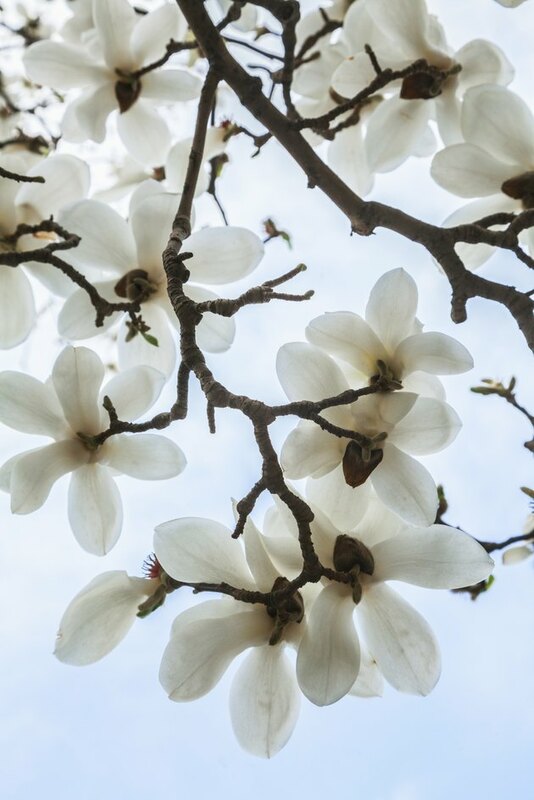 According to Acupuncture Today, magnolia bark contains a substance called magnocurarine that can can have a sedative effect, and which may significantly reduce your blood pressure when taken in large doses. According to E Natural Health Center, magnocurarine can numb your nerve endings, relax your muscles and bones and cause increased respiratory and heart rates. Notify your health care provider if you experience a feeling of sedation, rapid respiration or heart rate when taking magnolia bark extract.